I love decoupage, because it is easy and creative. 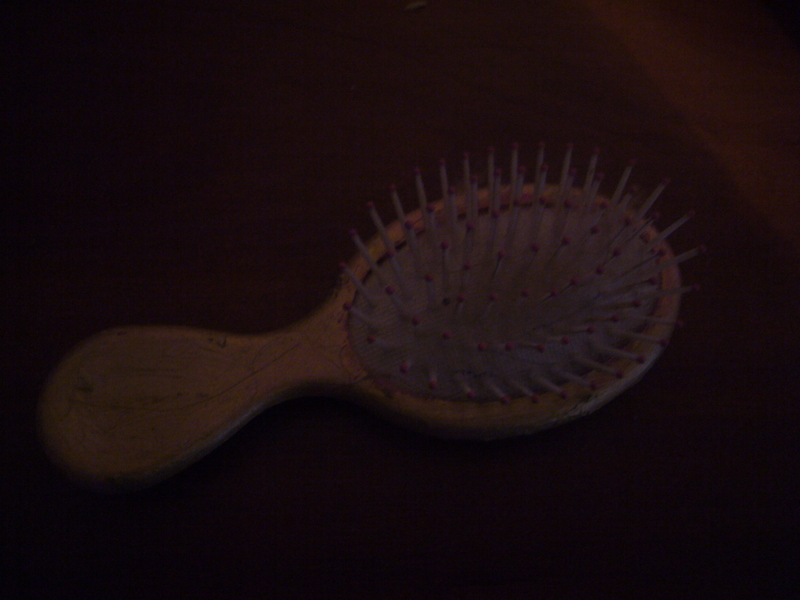 Plus, it allows you to turn simple things, such as plastic brushes into decor items. For this decoupage project I did not even repaint the brush, as I usually do. The napkin pattern got placed nicely to the plastic surface. 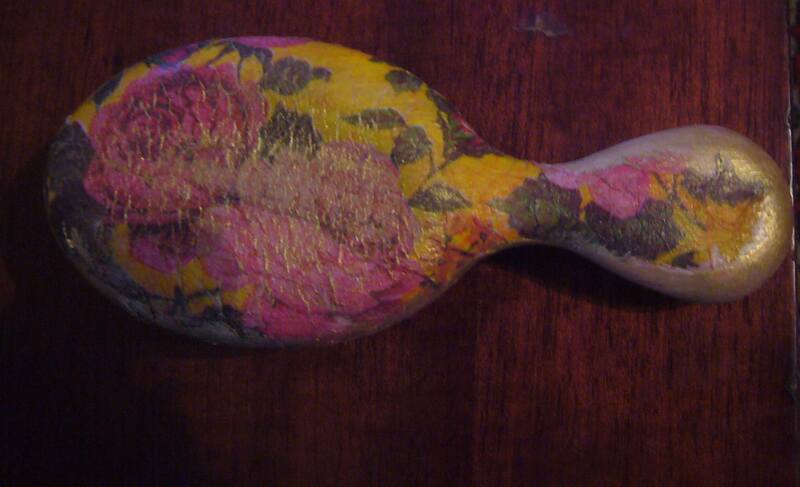 I roughly decoupaged the brush with a scrape of rosebud napkin and then covered the left edges with the golden paint. That is it. It took me less then 10 min to do this decoupage project. This entry was posted in Decoupage ideas, Uncategorized and tagged brush decoupage, busy moms, crafts, creative tips, creativity, decoupage, decoupage how to, decoupage tips, DIY, easy decoupage, gift decoupage, papper crafts, plastic decoupage, upcycling. Bookmark the permalink.